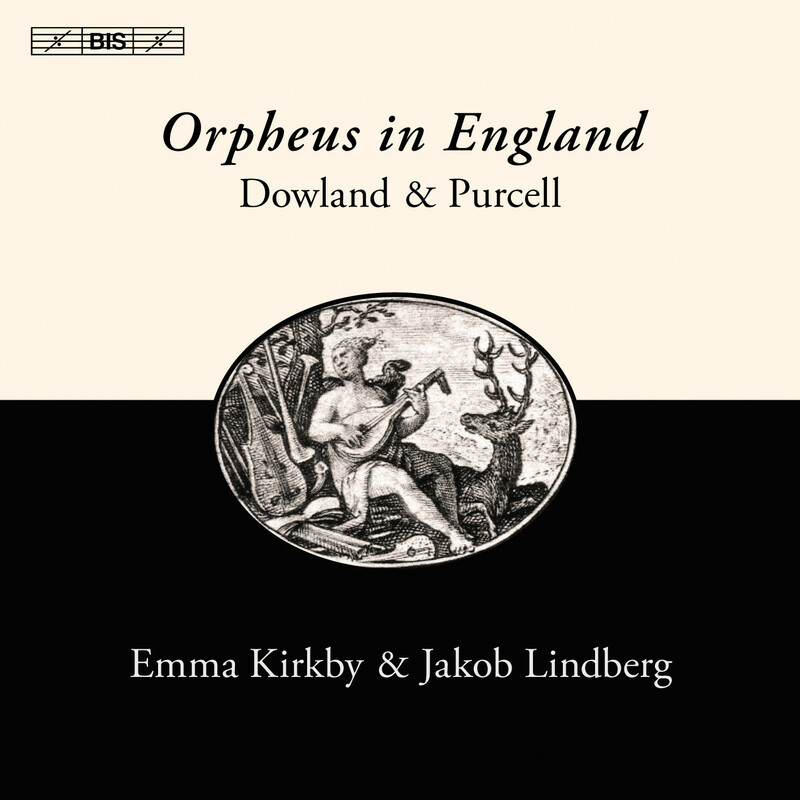 Sometime around 1600, John Dowland received a pavane composed by his patron Moritz, Landgrave of Hesse, in honour of ‘the English Orpheus’. A hundred years later a collection of songs by Henry Purcell was published posthumously with the title Orpheus Britannicus. And although more than three centuries have passed since then, the mythical comparison still rings true. 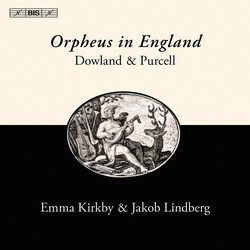 To quote Emma Kirkby’s own liner notes to the present disc, these giants in the history of English song ‘share the quality of arresting any listener with a directness and grace that takes our breath away still today, aligning us with the men, animals, plants and stones that were said to weep or dance, or both, when Orpheus sang to his instrument.’ Together with the lutenist Jakob Lindberg, Emma Kirkby has devised a programme which takes in a wide spectrum of emotions: from the pastoral joyfulness of By a fountain and that distillate of melancholy which is In darkness let me dwell, we are led via the desperation and drama of Bess of Bedlam to the conviction expressed in Music for a while that music has the power to vanquish even death. Interspersing the songs are lute solos, including Dowland’s immortal Lachrimae, but also Lindberg’s own transcriptions of Purcell pieces such as The Cibell and the Echo Dance of the Furies from Dido and Aeneas, performed on Lindberg’s unique four-hundred year old instrument. Kirkby and Lindberg are musical partners of long standing, with earlier collaborations on BIS including Musique and Sweet Poetrie, a survey of the lute song across Europe around the year 1600. ‘A grand tour conducted by a pair of ideal guides’ was how the reviewer in Gramophone described that disc, while his colleague in International Record Review found that the ‘undeniably glorious performances’ made the disc ‘a journey well worth making’. While the journey on the present disc is one in time rather than space, the performances are as glorious as ever, and Emma Kirkby and Jakob Lindberg remain the best guides imaginable.